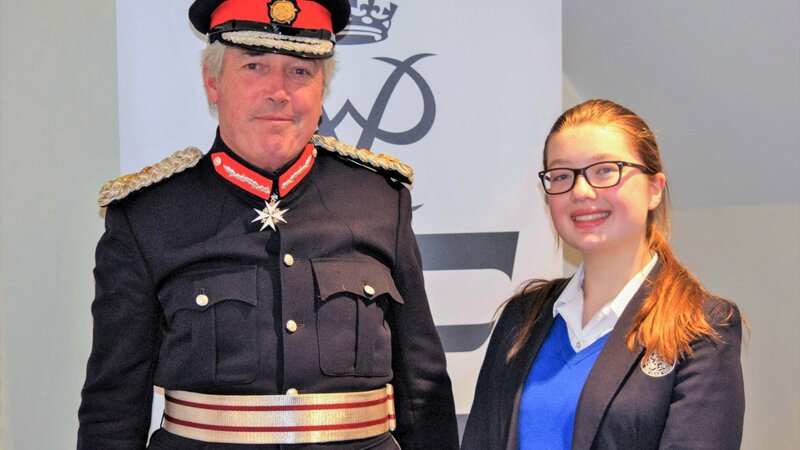 Lily Constance, a Year 11 student at The Kingsley School, was invited by Rachael Hewison, Operations Officer for Warwickshire Duke of Edinburgh Scheme, to deliver a talk at the Licence presentation event at Nailcote Hall on Thursday 14th December. Lily spoke to Duke of Edinburgh managers and headteachers from Warwickshire schools about her experiences on the scheme, including the challenges of expedition and activities, the skills learned and the benefits to the community through volunteering. Also in attendance was Lord Lieutenant Timothy Cox as guest speaker, who awarded the plaques and framed certificates to representatives of the licenced organisations.